Despite acquiring messaging app giant WhatsApp, Facebook remains bullish with its own messenger app. As a matter of fact it will now force you to install it whether you like it or not. 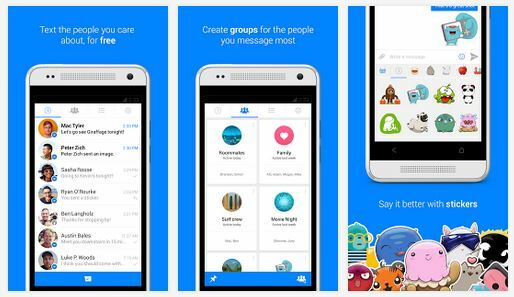 The largest social network in the world recently announced that it is now removing the messaging feature in its mobile app. Because of that, you need to download and install the separate Messenger app if you want to chat with your friends on Facebook. Over the coming weeks, this will be rolled out from one country to the other until every smartphone with a Facebook app have its messaging feature removed. Like any other updates, you will get notified of the changes. According to Facebook, you will be notified several times before the removal of the feature takes place permanently. During this period the social network expects its users to learn more about the stand-alone messaging apps and its features. Running older versions of Android? Or simply has a low-end phone? Not everyone has to download it, however. If you have a low end android device, the Facebook app’s messaging feature will still be there. This is the same for those Android devices running on the older operating system such as the Eclair. Another option is that you can actually skip it all together by just using the platform’s mobile website. For those who have been following the news, this should be expected. Back in November, Mark Zuckerberg already hinted that Facebook will be taking out the Messenger App from the main Facebook app. Apparently, Mark and his team want Facebook users to have a more focused mobile experience when using many of Facebook’s core features. 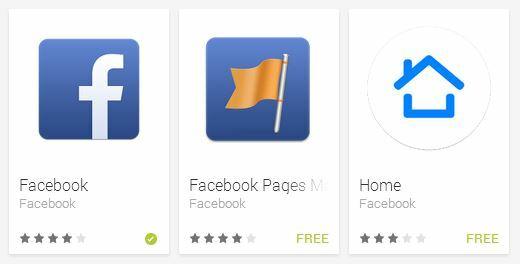 Facebook has already built numerous standalone apps for some of its features. If you want to see news being shared across the social network, there is Paper. If you want to manage and get notified of your Facebook pages, there is also a standalone app for that. Because of these changes, Facebook officially has 2 messaging apps – Messenger and WhatsApp. Why own two apps which have the same purpose? While seemingly similar, it looks like the company would like WhatsApp to stay the way it is, so as not to scare away existing users. After all, it is not Facebook’s original product, and adding new features or changing things around might drive existing users away. Facebook on the other hand can do a lot of things and experiment on Messenger. Who knows, it might reveal itself as a viable competitor to the likes of KakaoTalk and LINE.